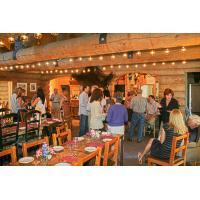 A hearty, warm welcome is what you can expect when you arrive at Gray Eagle Lodge. First check in to your cozy cabin, then make yourself at home. Take in the incredible scenery surrounding the lodge, breathe in the sweet mountain air and listen to the silence. Your vacation has begun. If you choose to kick back, nap or read a book, so be it. We think reading beside a mountain stream is one of life's great pleasures, so we certainly understand your desire for solitude. But if you want to jump right into action, you might have a tough time deciding where to begin. 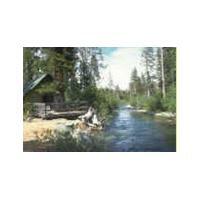 The Lakes Basin, in the Plumas National Forest, provides a variety of outdoor challenges. Hike to the Sierra Buttes look-out tower, explore the Red Fir Nature Trail, or chronicle the rare wildflowers that surround the Lodge. Bird watching enthusiasts come from all over the country to take in the native Sierra birds. If your hooked on fishing, enjoy our world-class fly fishing on Davis Lake, or boat and bank fishing for browns, rainbows, and brook trout on more than five different High Sierra lakes. If your idea of wilderness is less dusty, the town of Graeagle offers quaint shops and restaurants. Mountain air will provide the advantage you may need on a variety of local golf courses, Our game room in the Lodge provides entertainment for young and old alike. For children there are plenty of wholesome outdoor activities. The swimming hole in Graeagle Creek, adjacent to the lodge grounds, is irresistible for swimming and rubber raft play! Reserve our row boat at Smith Lake for fishing or exploring. The warm water of the Sand Pond is 5 miles away. 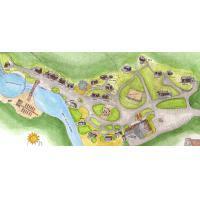 The town of Graeagle offers a miniature golf course, driving range, trail rides, tennis, and the Mill Pond. Portola, a short fifteen minute drive, hosts the Railroad and Train Museum. Driving an old locomotive is the highlight for most children (and adults)! Gray Eagle Lodge has had an increasing number of requests to reserve the entire lodge for special events ranging from weddings and renewal of vows, to corporate retreats, and family reunions.We have expanded our season to be able to offer Gray Eagle Lodge to more people while continuing to honor the solitude, easy tempo, and varied activities which bring our guests back year after year. We love dogs…love ‘em! We are pet friendly and encourage families to bring their four-legged family members. 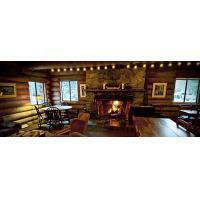 For 25 bones ($30) per pet, per night your dog can mark their spot at Gray Eagle Lodge (maximum of 2 dogs per cabin). Dogs are required to be on leash on Lodge grounds, but our extensive network of dog-friendly trails allows for off-leash fun! Guests must sign and follow our Pet Policy upon check-in. 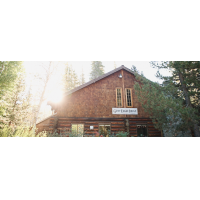 Gray Eagle Lodge, located in the Lakes Basin Recreation Area, offers guests the opportunity to experience a vacation without the electronic distractions of home. Relax and re-connect with family and friends while enjoying a more traditional vacation filled with the simple pleasures of swimming in an alpine lake or seeing the smile on your kids face after they land their first rainbow trout! Simplify! 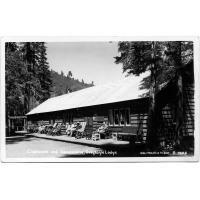 Everyone gets a timeless vacation at Gray Eagle Lodge in the heart of the Lakes Basin Recreation area. Take a deep breath, turn off the “devices”, and check-in to your private cabin…your vacation has begun! Since our nightly package includes breakfast and dinner, everyone gets a break from the kitchen! Our on-site restaurant, Firewoods, offers the perfect setting for morning plans to be decided on and dinners complete with recounts of the day’s adventures! 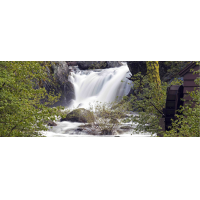 Kids will leave their “virtual” world and experience the real world of exploring alpine lakes, waterfalls, and wildlife with the family and friends. Your four-legged friends can come, sit, and stay too! This unforgettable escape offers natural beauty, outdoor challenges, and the opportunity to create memories that will last a lifetime!